Believe it or not we have a secret member of staff here at iFix Aberdeen hates iPhones. How can someone that works for an iPhone repair company hate iPhones? Well he just updates our website and is not involved in the repairs. That being said we asked him to write up his top 10 list of reasons why he HATES iphones. Please note that the view expressed in this list are his own and we will be ripping to shred his arguments in a future blog post. They are too expensive: Double the price of a decent android phone, what’s the point? Limited apps, all developers have to comply to the Apple standards. Enclosed eco system – what if I want to use a windows computer to transfer files between my iphone and PC? Fan boy hate, yeah you heard it I hate those people that praise to Apple and que outside the shop anytime there’s a new product launch, they need to get a life! 5) Apple are a rip off, iFix Aberdeen exists because Apple rip off their loyal customers if they have a smashed screen. If I had an iphone that needed repaired I could get it done at iFix instead. 6) No memory card slot. Apple restrict the memory on their iPhones to 64Gb and charge a pretty price. Why is there no external storage card slot like other phones? 7) Each new iPhone bring minor improvements on the last. What a waste of money, upgrading to the newest version – there’s hardly any difference between models. 8) Battery life is crap, say no more. 9) Bad call reception, my mate has an iPhone with 2 bars, my android has 4 bars and we are both on the same network. 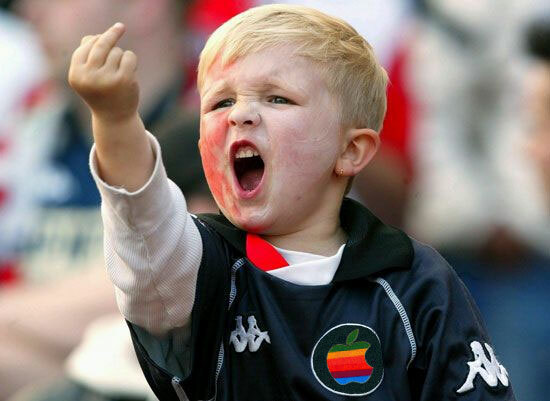 10) You obviously own an iPhone – tell me why I’m so wrong in the comments below…. You heard him, what I find sad about this top 10 list is number 10 is not even a valid point, just a poor excuse for him to try and get comments on his list, lol.